There is more to washing your motorcycle than simply making it look good. Not washing it correctly and regularly can lead to its parts and looks being damaged. Washing it doesn’t take more than just some basic things like detergent, a sponge, and water. Detail the chrome and wheels before you finish, and your bike will be back to turning heads. Let the bike cool off. If you spray water on the engine while it is hot, it could lead to a disaster. A quick change in temperature like that can actually crack your engine block. It doesn’t matter if you are riding in the city or on a muddy country road, before you start washing it, let it cool off. Clean the chain. Some motorcycles have chains. If yours does, start by getting the grease and dirt off of it. This will keep grime from getting all over your bike when you try to clean it. If you can find a chain degreaser at your local shop, good. If not, try Amazon. Spray the degreaser on the dirty chain to make sure the debris is loosened and then simply wipe it down with one of the clean cloths. Once you have finished cleaning the whole bike, remember to lubricate the chain again. WD – 40 will also serve as a degreaser for the chain. Clean the engine parts that aren’t chrome by using a solvent and water. Before you get started on the body, be sure that you take care of any of the little nooks and crannies that are around the engine and need special attention. To do this, simply dip the old toothbrush in clean water and use it to gently scrub the debris and dirt away. If you need more than water and elbow grease to remove it, try a little WD – 40. Try to avoid the bearings and brake lines. If you get water in these areas, it can lead to corrosion and other issues. Rinse your bike off with water. Doing this will cause dirt to loosen and make the entire process of washing the bike easier. 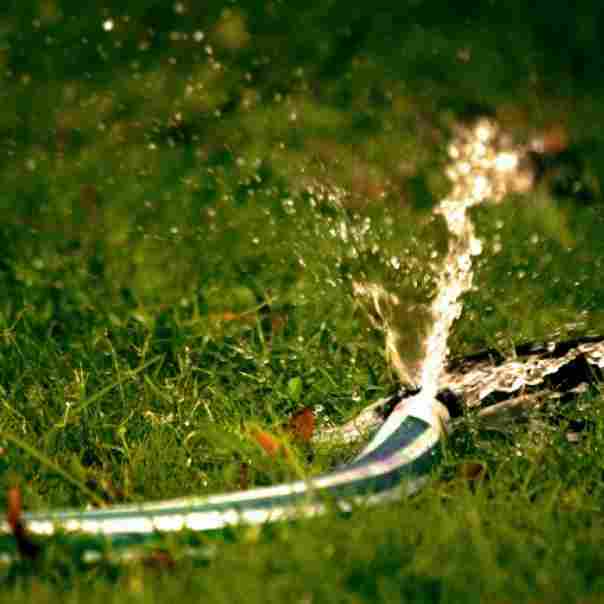 Make sure that you are using only a gentle stream of the water instead of anything pressurized. Using a high-pressure spray might damage things like the paint, the finish, or other materials. You should avoid this. Go over the entire body with a cloth or soft sponge. You might need a bit of elbow grease for this to remove any stubborn grime. Dip your soft cloth or sponge in the bucket that you have filled with water and detergent and wipe down the entire body of the bike. If you happen to be washing your bike in order to get salt off of it (after riding salted streets in the winter), just use water and then skip on to the waxing part. Using cleaners and detergents can actually make the salt issue worse. Rinse the whole bike. Once you have cleaned off the grime and muck, get the water hose again and use a light spray to wash away the last of the dirt and every trace of soap suds. If there isn’t too much to clear away, you can use a clean sponge dipped in clean water for this too. Wipe off any excess water. Take one of the clean and dry microfiber or chamois cloths and rub the bike down. This will get any remaining water so there won’t be any type of water spots once the bike dries. Remember not to leave the bike in the sun while it dries because this is another thing that can lead to water spots. Buff the seat with a protectant. 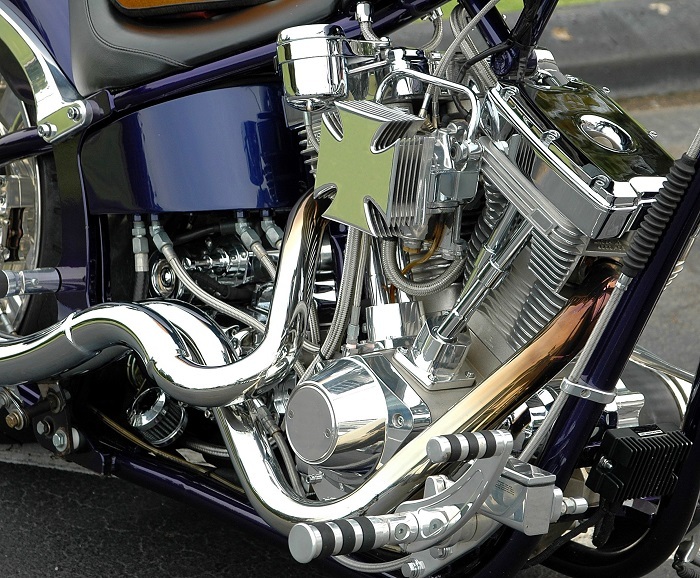 The seat on a motorcycle are made from one of many materials. Leather and vinyl are typically the ones seen the most. A vinyl seat can be rather tough, but with the passage of time, they can crack and fade. If your seat is made from vinyl, use one of the vinyl protectants to keep these issues at bay. Leather seats might be a bit more delicate, but they are easy to care for and just need a leather care cream. Don’t use detergents on a leather seat. You can find what you need to care for the leather and vinyl at any local auto parts store. Get rid of any stuck-on crud. 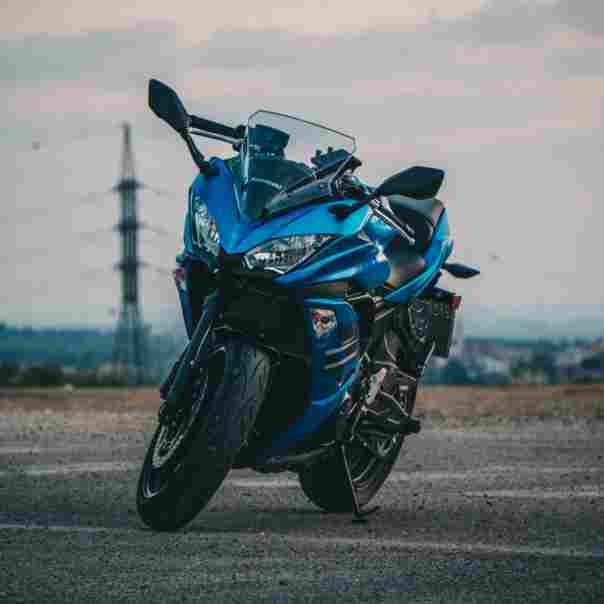 If you have any experience at all with motorcycles, you will be aware that even the shortest ride can leave you with dead bug body parts all over the bike. When your bike gets caked in this mess, give it a liberal soaking with tar and bug remover. Once the body parts have loosened, use a soft cloth or sponge to wipe it all away. Use another damp cloth to get rid of any residue that might be left. Clean the wheels with soapy water. Typically, today’s motorcycles have aluminum wheels. To clean these, just use a soft cloth and a bit of soapy water. Rinse them with clean water and then wipe them down with a clean, dry cloth. Using tools or abrasive cleaners can damage the paint or finish that is on the wheels. Stay away from these. If your wheels happen to be chrome, just use the same process with chrome cleaner as opposed to soapy water. Use a bit of motorcycle or car wax to protect the bike. Quality wax will work to protect your bike’s finish while keeping grime and dirt away. Use this after you have finished cleaning the bike. Just follow the directions on the wax because each brand offers differing directions. Spray the bearings with protectant. 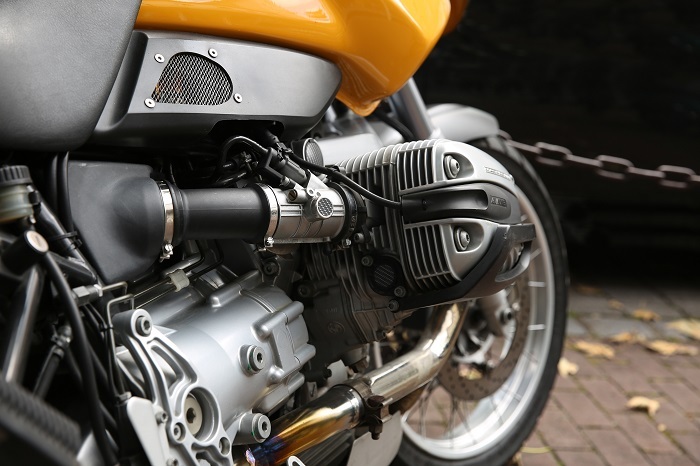 One of the most delicate but important parts of your motorcycle are the bearings. Use a protective spray to coat the bearings and keep things like dirt and moisture away from them. Before you wash your bike, remove any accessories, luggage, or tank bags, and the GPS as well, if you don’t want them to get wet. Try to avoid the commercial car wash facilities. It is always best to wash your bike yourself to ensure that it gets done right. 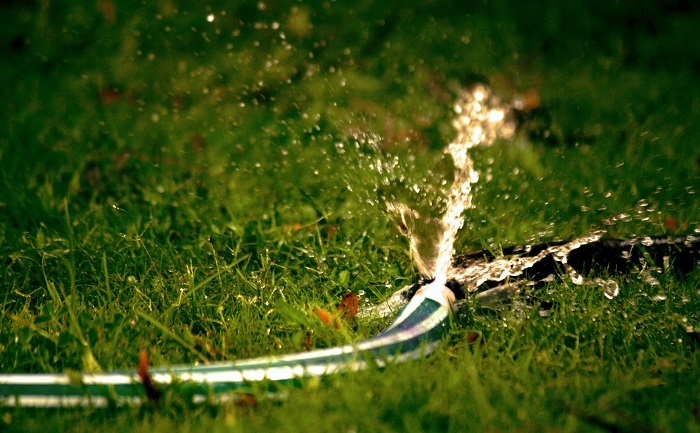 If you happen to be eco – conscious, wash the bike on your lawn so that the water can be watering the grass at the same time. Wash it regularly, but not on a daily basis. Washing it on a regular basis will allow you to keep an eye on things like damaged parts, fluid leaks, etc. If you don’t get the bug bodies off the bike, they can be even more difficult to remove once they have been on there for a few weeks. Also, if bug bodies get into the radiator, it could lead to issues with overheating. Make sure you are using the right materials for the job. Detergents need to have a pH balance that falls between 6 and 8. Anything else can lead to your paint being damaged. Don’t use general household cleaners or any abrasive cleaners because these can also damage the chrome and paint. Have different sponges or cleaning rags for the different areas of the bike. In other words, don’t use the cloth that got the grime off the wheels to tackle your seat too. Microfiber cloths are good for washing a bike because they clean well but also protect the surfaces they clean. That being said, there is nothing like an old toothbrush for cleaning laced wheels, radiators, and other places that are hard to reach. You might also want to get some high-grade steel wool for removing that grime and grease that gets burnt on those chrome exhaust pipes. First, you should test it under the pipes to see if it leaves any marks. Pay attention to the details. This is what separates the concourse standard from a clean bike. Once you have finished washing and then polishing the bike, spend a few minutes going over it again using a microfiber cloth. Wipe down the cables, clean the casings in the engine, rub down the wheel hubs, and then get down on the ground to see if you might have missed anything. Waxing is critical. Stay away from all of the cutting compounds because they can leave you with permanent marks in the paint. If you decide to use a regular car wax, make sure the wax is soft and that it will add a layer as opposed to removing one. Remember that some motorcycles have parts that are covered in lacquer or plastic that can be damaged easily. A high quality was will act as a sort of sunscreen for the bike. It will leave a UV barrier that will protect the paint. Lube it up. 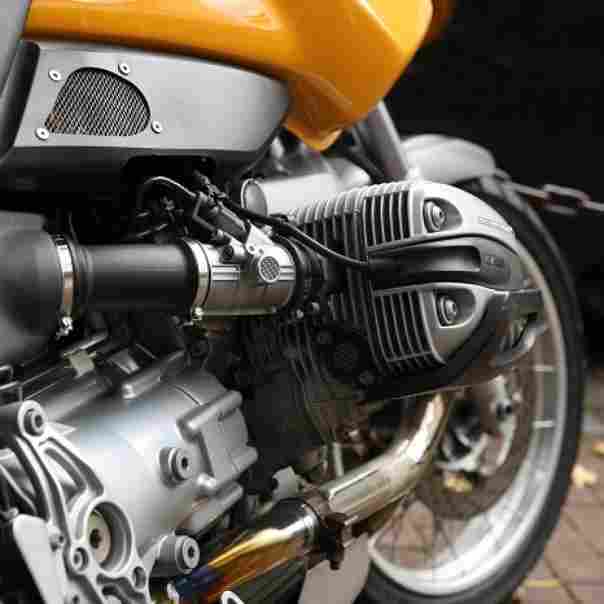 WD – 40 is a wonderful thing that has many uses – both for motorcycles and everything else. You can use it on your bike to get rid of extra water and to gently remove any grease that has built up. Remember not to spray it around the axles though because it will dilute the grease that is necessary right there. Keep in mind that the WD is the acronym for water displacement, and that is exactly what it does – displaces the water. It isn’t a fantastic lubricant though, so you will need to et some oil or silicon to spray on the levers, hinges, and cables that may have lost a bot of their lubrication during the washing process. For the chain, you should only use a dedicated chain lube. Using a well rinsed chamois or microfiber cloth, dry your bike off thoroughly. Never use any sponge or cloth that you may have dropped on the ground because if they picked up any pieces of grit, they can actually scratch the bike. It is important to get as much of the water off the bike and out of the small crevices because it might lead to corrosion.